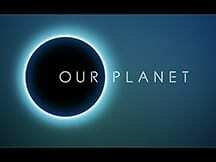 Last week, Netflix released a documentary called Our Planet. The message was how for the first time, one species living on Earth will choose what the future will look like and humans are that species. The show documents how we need to completely overhaul our relationship with the planet. This documentary involved 2k hours of dives, 400k hours of camera trap footage and visits to 60 countries all over the world. We were exposed to crumbling ice, palm plantations in the rainforest and changes in polar bear habitat due to climate change. I am sure everyone who watches this will be express frustration in what the planet has become. The public response to this can be used as a catalyst to get behind actions like the Green New Deal. It is too bad America does not seem to care about the plight of the people of color right here at home. Someone should make a documentary about our environment and how much improvement is needed where we live. Let’s have a documentary about how the air we breathe causes us to get sick. Let’s have a documentary on how there is a lack of affordable healthy food options in our community. Let’s have a documentary showing how we are paid less than whites on the jobs we work. Imagine if there was a documentary to show the real life false choices made everyday. Imagine if there was a documentary that spent 2k hours with us as we wake up before sunrise, rush to drop off our kids, fight through traffic, get to our jobs, deal with micromanaging bosses or unsatisfied customers, all the while wondering if the lights or water were cut off, fight through traffic again to get to our kids before the daycare charges us late fees, finally home to figure out what’s for dinner. Once we get home, we get a phone call about a sick family member or a family member being robbed, shot or killed. Only to make dinner we are too tired to eat to pass out and do it yet again. Let’s have a documentary on how we work 2-3 jobs and are undervalued, underpaid and not appreciated. Lets expose how we must make false choices on food or medicine, buy gas or have lunch. Oh boy, could I make a documentary. If the world valued the lives of humans as much as they value the plight of endangered tigers in Asia or Rhinos in Africa. If the white Americans valued the lives of young black boys who are victims of domestic terror or our missing black teen girls, then change would happen. If white Americans understood that helping or caring for the poor and disadvantaged is really helping or caring for themselves, there would be public policy to help us all. There is plenty of work to do right here at home.